Give MawMaw a gift that she will treasure and love to display. The honeycomb heart throw is available in natural or white. 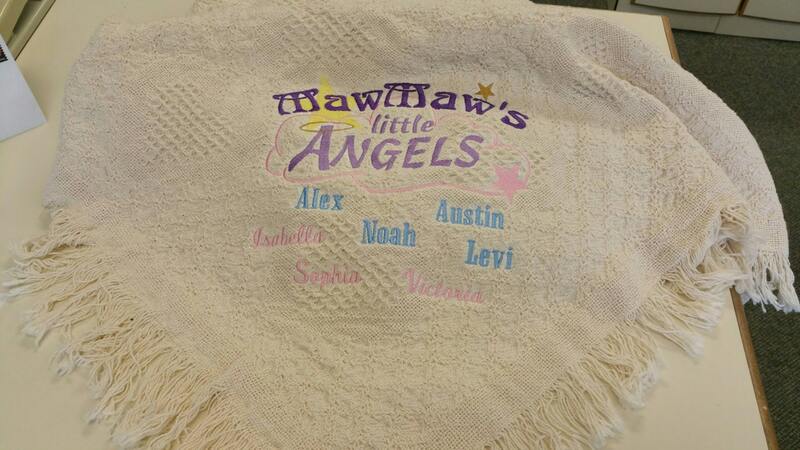 It is 100% cotton, double layered, and measures 48"X 60" with fringe edges. Machine wash in cold water on gentle cycle. 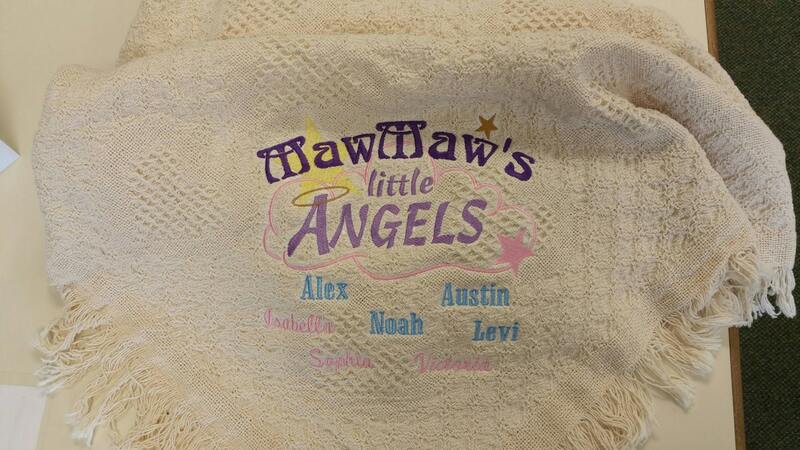 The colors shown are dark purple for "MawMaw", light purple for "little Angels," the cloud and one star is sewn in pastel pink. The star behind MawMaw is yellow and the one above the w is old gold. The boys names are done in pastel blue athletic block lettering and the girls names are done in pastel pink athletic swoosh. 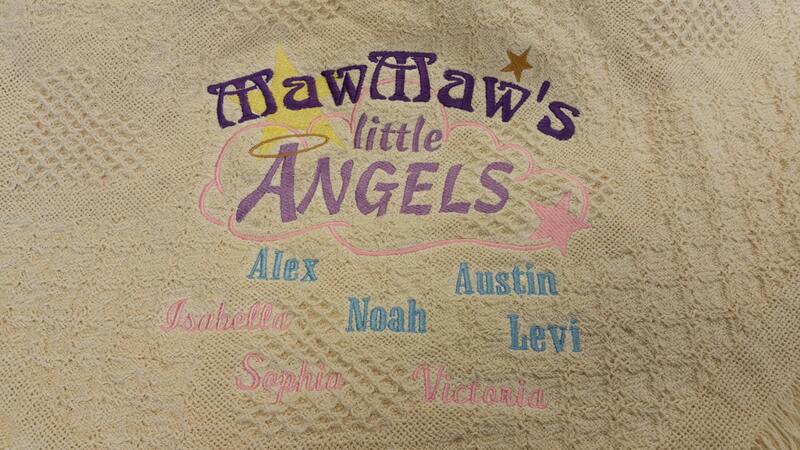 Please provide names of the grand kids (up to 8), colors you'd like to use if vary from what is listed, and if you'd like to use another word for MawMaw, we can do that as well. Provide this information in the buyer's note section. 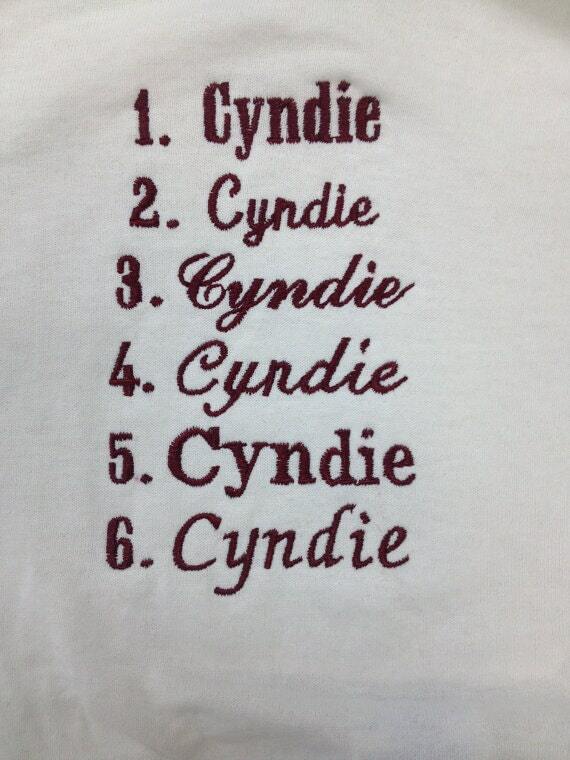 If you have more than 8 names, please request a custom order because there is an additional fee for more names.